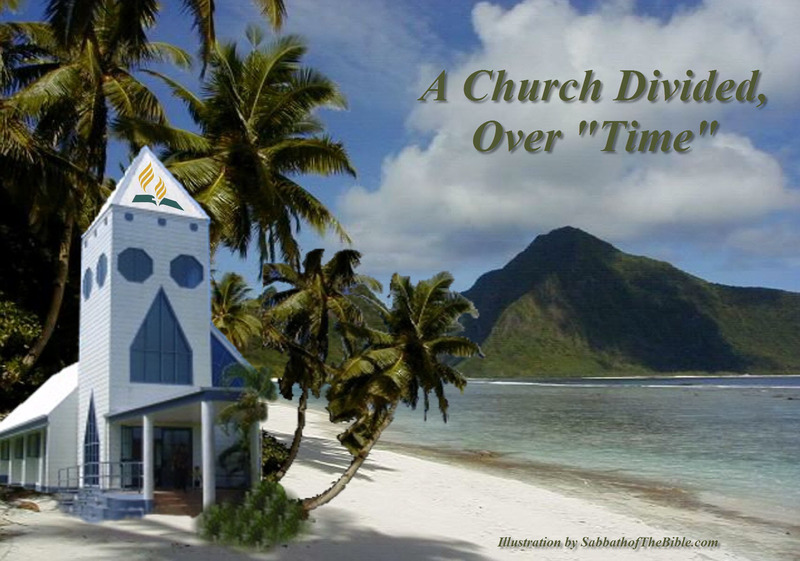 he Seventh-Day Adventist church of the American Samoan Islands still, after two years of dispute, do not recognize the true Biblical Sabbath for reasons within this article . . IF, they did know, the problem in the Samoa Islands would not exist. All that is needed to fix this issue, is to "Demonstrate Their Count Back To Creation." But, the problem does still exist. Why? Simply because they are not able to demonstrate that count. PERIOD. Or An Un-Biblical perspective by Seventh Day Adventist General Conference? In Samoa, local Seventh Day Adventist church administration, instructed the law office of Schuster-Betham-Annandale to make known to Leauva'a-uta SDA church members worshipping on Saturday, to stop using church facilities . . . In a letter dated 6th February to those same SDA church members . .
". . warns that failure to comply within 7 days will result in the matter been taken to the High Court for an order regarding ownership, demolition and removal by the church of assets." Leaders of South Pacific Division (SPD) of the SDA church met with Australia pastors from Samoa and Samoan pastors representing Samoan churches in New Zealand and Australia. The bible conference discussed the impasse in Samoa, which is detrimental to a fundamental doctrine of the SDA church, where there are now two seventh-day Sabbaths, some worshipping on Saturday and the majority worshipping on Sunday. An outcome of the meeting is to be referred to the Biblical Research Committee of the South Pacific Division for further research. Seventh Day Adventist Leaders Vs. Seventh Day Adventist Parishioners. "A further concern we have is that any remits submitted to our conferences calling for clearly defined unity in regard to which day is the Sabbath will not get past our Union and Division to the General Conference session in 2015." "So the SDA Church has gone from planting churches to demolishing them all because of the faulty decision to worship on Sunday. This fruit is not good." Just what day is the "Sabbath" anyway? A Problem in Leadership? Or Simply, an Inability To "Count?" Dear Seventh Day Adventist leaders, . . Simple count your weeks back to creation as you claim you are able to do, thus fixing this entire mess of which Gregorian pagan day, Saturday or Sunday your "Sabbath" really is. Why are the "leaders" of the SDA church not able to demonstrate this? MULTIPLE Reasons . . Here are two very good ones. Ellen White is telling the church, future knowledge will come from those who humble themselves. This so important truth will not come from the leaders of the church. The leaders truly do understand which day is the "seventh day Sabbath" of creation, but they refuse to share these truths with the parishioners . . Many years earlier, M. L. Andreasen argued that "the truth should be suppressed as the average Seventh-Day Adventist would not be able to understand it. " More on that here. Another Lie From The Leaders? Because the "Leaders" of the church are not able to "Demonstrate their count" back to creation. Without the ability to do so, well, any attempts are indeed futile. Sadly, the SDA church leaders have discounted the creation account. Genesis 1:14 It is this account that gives the entire world the perfectly created "point of reference." It is only this point of reference, we call the moon that is able to be used. 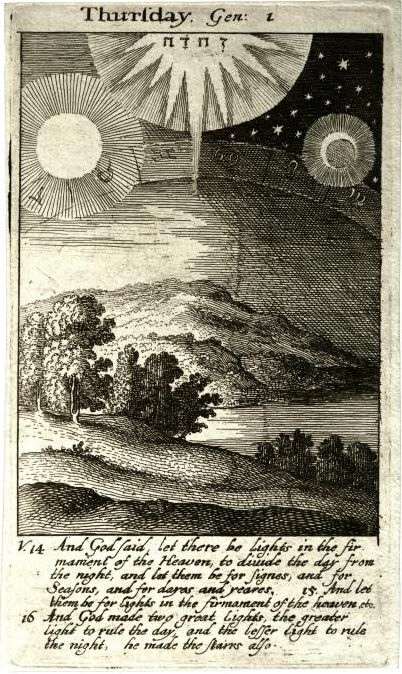 The moon was created on the fourth day, and the Bible, His Holy word tells the world that it is "the lights in the firmament of the heaven" that gives us our "Days" and "Years." These are both (Days and Years) elements of "time." Yet, it is the SDA church that teaches from Daniel 7:25, both "Times" and "Laws" will be changed by the beast power . . . Do they not believe or understand what they are teaching all around the world?!?!? One Problem to Their Solution Is This . . This short video demonstrates they have decided to crawl into bed with the very beast power they have been warning against !!! SDA community still not able to settle their Sabbath issues in the Samoan Islands . . So, the SDA leadership threatens to , demolition and removal by the church of assets" over incorrect "Sabbath worship day." Genesis 1:14, And God said, Let there be lights in the firmament of the heaven to divide the day from the night; and let them be for signs, and for seasons, and for days, and years. Exodus 20:8-11, 8 Remember the sabbath day, to keep it holy. 9 Six days shalt thou labour, and do all thy work: 10 But the seventh day is the sabbath of the LORD thy God: in it thou shalt not do any work, thou, nor thy son, nor thy daughter, thy manservant, nor thy maidservant, nor thy cattle, nor thy stranger that is within thy gates: 11 For in six days the LORD made heaven and earth, the sea, and all that in them is, and rested the seventh day: wherefore the LORD blessed the sabbath day, and hallowed it. Isaiah 66:23, And it shall come to pass, that from one new moon to another, and from one Sabbath to another, shall all flesh come to worship before me, saith Yahushua. Yes, both days and years are elements of "time." Daniel 7:25 Job 37:14, Hearken unto this, O Job: stand still, and consider the wondrous works of God. Deuteronomy 4:39-40 39 Know therefore this day, and consider it in thine heart, that the Lord he is God in heaven above, and upon the earth beneath: there is none else. 40 Thou shalt keep therefore his statutes, and his commandments, which I command thee this day, that it may go well with thee, and with thy children after thee, and that thou mayest prolong thy days upon the earth, which the Lord thy God giveth thee, for ever. Please help us here in the South Pacific Division. As you must be aware, Seventh-day Adventist Church members in some territories around the international dateline have recently joined Tongan members in keeping Sunday and calling it the seventh-day Sabbath. This situation is unsustainable and very destructive to our global mission mandate to spread the three angels' message to every tribe, language and people . . .
. . Also in the article we were told that there was a group of Adventists in Samoa who were refusing to keep Sunday, so now Seventh-day Adventists keep both Saturday and Sunday as the seventh-day Sabbath in Samoa. They cannot both be right. The Saturday Sabbath-keepers continue to return tithe to the Samoas-Tokelau Mission in spite of being completely isolated from pastoral care, resources, church buildings, or other STM support. Yet this isolation has not been taken so far that the Mission disfellowships them. These Saturday-keeping Adventists are still considered members in good and regular standing but are being treated as rebels by the leadership. These people have been locked out and refused the use of SDA churches on Saturdays by the STM (Samoas-Tokelau Mission). The latest news is that the STM have issued a warning through their lawyers in Samoa to the Saturday Sabbath-keepers that they must refrain from using the church facility in Leauvaa. Failure to comply within 7 days will result in the matter being taken to the High Court for an order regarding ownership, demolition and removal by the church of assets. So the SDA Church has gone from planting churches to demolishing them all because of the faulty decision to worship on Sunday. This fruit is not good. Although your geographical distance from this issue and a full diary may be keeping the issue of Sunday-keeping in the Pacific out of your focus, many of us in the region feel that the only way this issue will be resolved is if the General Conference intervene and direct the SPD to come back to Sabbath-keeping in unity with the world church. Does our church structure have the facility for the buck to stop at General Conference when a Division fails in its duty? A further concern we have is that any remits submitted to our conferences calling for clearly defined unity in regard to which day is the Sabbath will not get past our Union and Division to the General Conference session in 2015. This Sunday decision by the Division leadership has caused ongoing heartache and tension, not only in Samoa, but in many parts of the world where Samoan Adventists live. Families and congregations have been torn apart. Pastors and their congregations have taken opposite views and dialogue has been shut down. The problem keeps growing and the longer it goes on the harder reconciliation will be. Yet all that is required is a little humility and the admission by leaders that they made a mistake. This kind of action would be greatly respected by many, yet currently we have silence from our leadership. Even our church paper has not mentioned it since 4 Feb 2012. The proponents of Sunday-keeping respond with much hostility but very little logic to refute our arguments, so I can only assume that they do not have any. I have enclosed copies of documents prepared by laymen to help people understand the issue, to refute the SPD reasoning and to give courage to the faithful in the islands. We cannot get the SPD leaders to rebut these documents despite requests to do so. Because our voices are being ignored here in the SPD, we feel we must reach out to leaders and members outside our region for your help. Please read our papers and please respond with your comments as soon as you are able. Please understand that we are loyal and actively involved Seventh-day Adventists who love this Church. We have never been involved in any independent offshoot group who oppose the church. Please read this article from the Samoa Observer.